How do I change the background color in Capture One? Sometimes I can’t control the color of the background during a photo shoot and I have to change the background color in post production. Normally, I would go Affinity Photo and make use of it’s superior masking tools. Capture One added a powerful Refine Mask tool in version 11. With that addition, I can change the background color directly in Capture One 11 without the added step of taking the image out to Affinity. 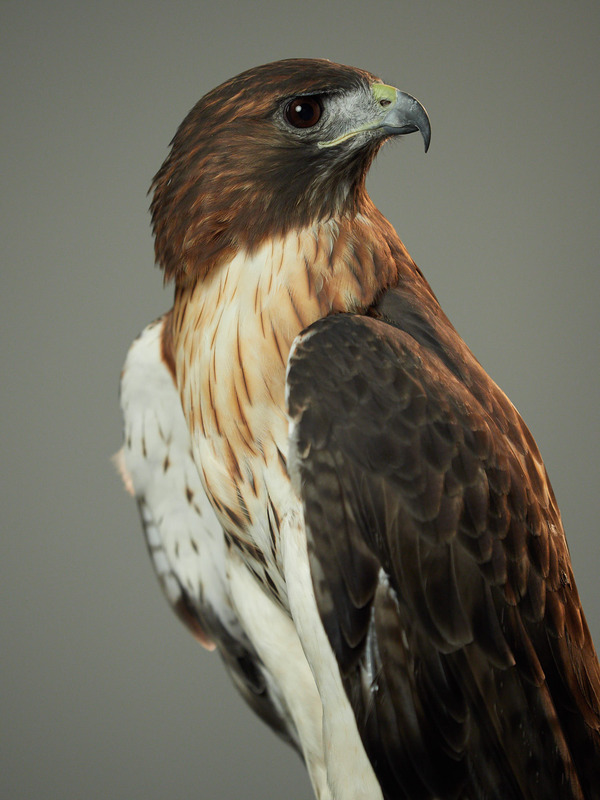 I recently hosted a raptor photography event at Precision Camera in Austin and sponsored by Olympus. We brought in birds from the Blackland Prairie Raptor Center. Our original plan was to shoot in a natural setting. However, it was raining heavily so we reverted to the studio as a backup. In this pull back BTS shot, you can see the key light (a large daylight LED in a soft-box). The background and edge light enters from the left. Because we were in the studio, we were shooting against solid grey background which picks up any color shift from the lighting. I set up constant lighting so that everyone could photograph at the same time and used a warm (CTO) edge light with a daylight fill. The background picked up the orange background color. The tan colored background worked well for many photos since it matched the birds, but for this photo I wanted a complementary color. You can see more of my photos on my personal web site. Capture One 11 added “Refine Mask” to it’s already wonderful Adjustment Layer system. With that addition it became possible to create high quality masks quickly inside Capture One instead of having to fall back to a tool like Affinity Photo. My process for an edit like this is simple. I use a mask to separate the two areas of the image. I work incrementally, roughing the mask in, then refining it using refine mask, doing further manual clean up and refine mask again. Because I used a single adjustment layer, accomplishing the results I want involves a little back and forth. Adjustments to the background affect the entire photo, including the masked area. Once I adjust the background to look how I want, I return to the Bird adjustment layer and reedit it. Normally adjustments in each adjustment layer are “stacked.” For example, if I add 1 stop of exposure on the Background layer, and another stop on the Bird layer, I get 2 stops of exposure adjustment on the bird. White balance is different. If the white balance is set to “Off” for an adjustment layer, the white balance from the next layer below with a white balance set is used. In this case, I only have 2 layers: Bird and Background so the white balance for the Bird layer is the same as the background. As soon as I set a white balance on an adjustment layer, that white balance replaces the white balance inherited from below. Change to the underlying white balance no longer affect the adjustment layer’s white balance. The choice of what to mask is not as important as it might seem. 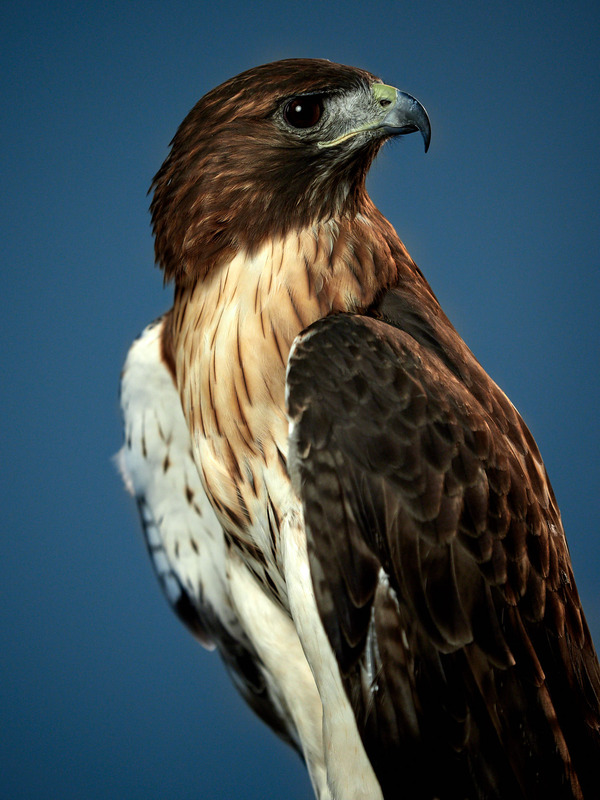 I could accomplished the same results by creating an adjustment layer on the background instead of the red tailed hawk. The choice was spur of the moment. If I had changed my mind, Capture One includes the ability to Invert Mask. Right or option click on the adjustment layer on the Layers tool panel. I don’t need to recreate the mask.